Al-Qaeda militants occupying areas in the Anbar province west of Baghdad have enough arms to siege the capital, top Iraqi officials warned Monday amid a spate of bombings that killed at least 31 people across Iraq. Iraq’s Deputy Interior Minister Adnan Al-Asadi said Monday in a speech that members of the Islamic State of Iraq and the Levant (ISIL) - the Al-Qaeda branch in Iraq which now controls much of Anbar’s capital, Ramadi, and the center of the nearby city of Fallujah - have adequate weaponry to invade nearby Baghdad. "The weapons that were brought inside Fallujah are huge and advanced and frankly enough to occupy Baghdad," Al-Asadi said, according to AP. He did not elaborate on what type or quantity of arms ISIL maintained, but he described “fierce battles” having occurred in Fallujah and Ramadi. Iraqi government forces joined with Sunni tribal militias in Ramadi and surrounding areas on Sunday in an offensive against ISIL and Islamic militants not affiliated with Al-Qaeda. Five tribesmen allied with government security forces were killed, and 15 tribesmen and government forces were wounded, provincial spokesman Dhari al-Rishawi said. Fighting continued Monday, local police reported, with little progress made in advancing against militant strongholds. 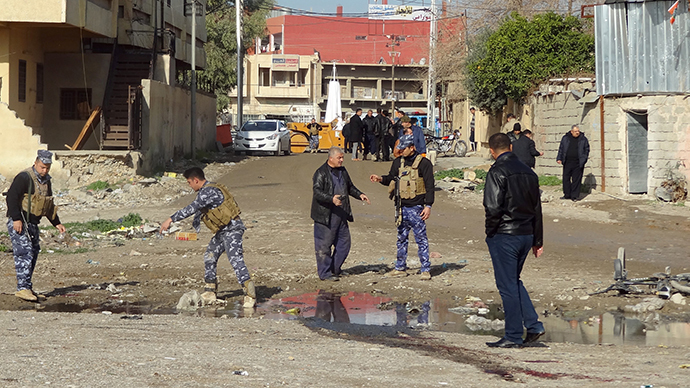 A roadside bomb inside Ramadi was responsible for the deaths of two policemen and a local television cameramen accompanying them, police said. ISIL and other militants have controlled the areas of Anbar since late December. They are largely Sunni Muslims opposed to the Shiite-led Iraqi government. They have targeted Sunnis in areas of Anbar like Fallujah where tribesmen assisted the US military’s ouster of Al-Qaeda in the previous decade. ISIL has been emboldened by gains of militants in the Syrian civil war across the border. Despite Baghdad’s superior size to a city like Fallujah, government officials said the advance on militant holdings in Anbar was needed to protect the capital. "Al-Qaeda in Iraq has plenty of weapons and fighters," said Interior Ministry spokesman Saad Maan Ibrahim, without adding detail. "If military action was not taken and if the operation by security forces was delayed for a few weeks, there would have been an assault on Baghdad." Clashes Monday in Fallujah died down by nightfall. Two civilians were wounded, hospital officials said. Residents largely stayed put to avoid the fighting, if they have not already fled for a safer area, Reuters reported. Much of Fallujah is without electricity, residents said. Fighting in Anbar and other Sunni-dominated provinces has uprooted thousands from their homes. A Fallujah cab driver whose house was damaged Monday during shelling said he’s not staying around much longer. "All my neighbors left the area several days ago, but I decided to stay because my house is far away from the clashes," Bassem Al-Falahi said. 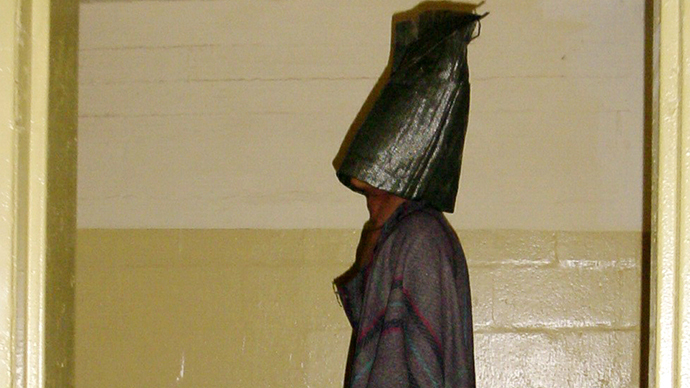 "With today's incident, I have decided to take my family outside Fallujah. ... I fear the worst if the final battle starts." 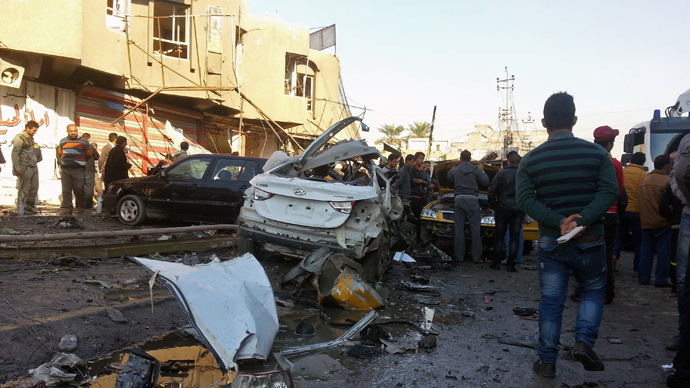 As government forces battled militants in Anbar, a series of bombings in Baghdad on Monday killed at least 28 people. 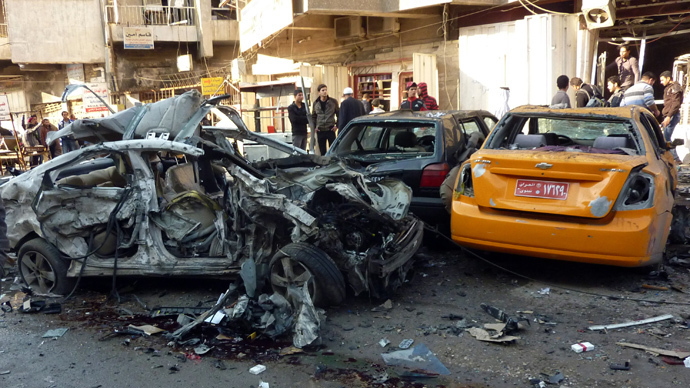 This comes after a wave of violent attacks and blasts in the capital and across Iraq left at least 30 people dead and dozens injured over the weekend. Also on Monday, the European Union pledged about US$102 million (75 million euros) to support the development of Iraq through 2020. The funds are primarily aimed at efforts to boost Iraq’s rule of law, education and sustainable energy.